Click on the Photo button to view the Control Panel. 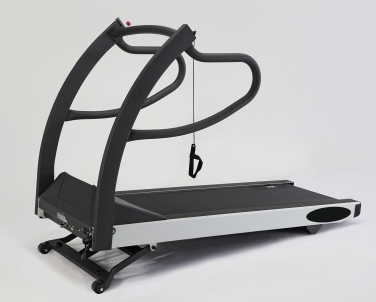 Model 13620A can be controlled from PC or from treadmill control panel via RS232 or USB1. Model 13621 (Photo) can be controlled from PC only. Heavy duty for professional use. Quiet operation. 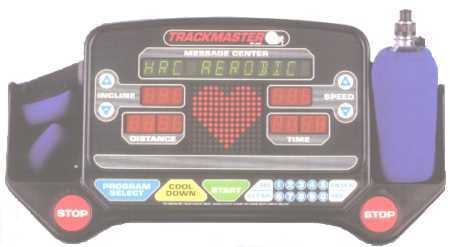 Handle bar heart rate sensor and heart rate display on control console optional. Max elevation is 25%, adjustable in increments of 0.5. Optional pediatric hand rail mounts in addition to regular rails. Other extra-cost options include full length hand rails, CE compliance and special AC plugs for export. Inquire!